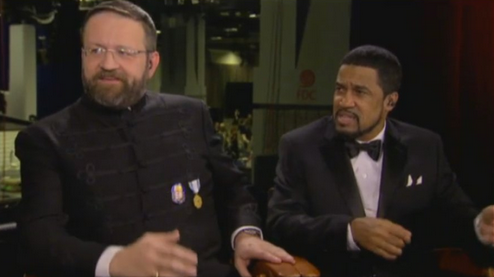 Trump aide Sebastian Gorka told Breitbart News that he wears a medal associated with a Nazi ally, last spotted on him at one of the President’s inaugural balls, in order to commemorate his father’s anti-Communist efforts in mid-century Hungary. Some Hungarian scholars told TPM the medal is identified with a knightly order founded by the Hungarian admiral and statesman Miklós Horthy, who oversaw the deportation of hundreds of thousands of Jews during the Holocaust. “In 1979, my father was awarded a decoration for his resistance to dictatorship, and although he passed away 14 years ago I wear that medal in remembrance of what my family went through and what it represents to me as an American,” Gorka said in the video. Left unmentioned are the origins of the medal and Horthy’s renewed popularity among the ultranationalist Hungarian right-wing. Those far-right conservatives have started a Horthyite revival over the past few years, with some towns erecting statues to the former admiral and statesman. They’ve also taken to dressing in attire like the black braided “bocskai” jacket, which Gorka also wore on inauguration night and was popular in Horthy’s time. Hungarian scholars say that in that country, the legacy of Horthy and his knightly order remains tainted by his alliance with the Nazis early in World War II as well as the deportation and subsequent murder of hundreds of thousands of Jews on his watch.